It's now available for free. A wonderful start. 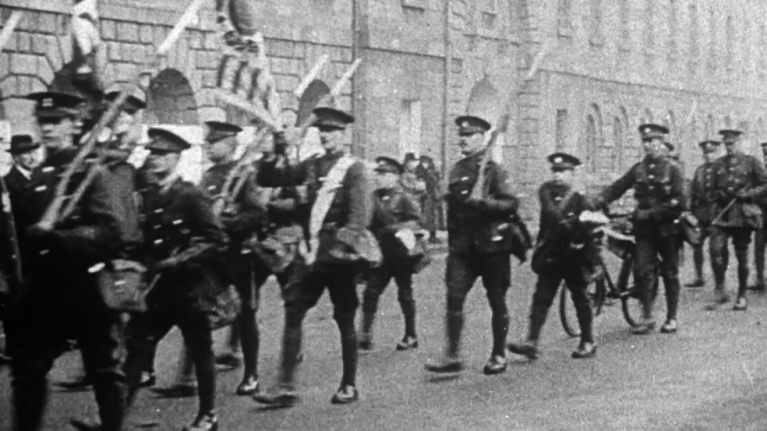 It's somewhat fitting that almost 100 years since the first Dáil convened in Dublin's Mansion House, part one of RTÉ's new documentary series, The Irish Revolution, depicted the events of that day. As stated in our review of Ruan Magan's three-part series, the documentary is incredibly accessible because history savants will devour it and casual TV viewers will learn something new. Narrated by Cillian Murphy, viewers were re-introduced to various milestones in Irish history like the creation of Sinn Fein, the Irish Volunteers, the events of the Easter Rising (and how the attitudes of some Irish people turned against the rebels, due to the loss of life in WWI), Cumann na mBan, John Redmond's Irish Parliamentary Party, the issue of Home Rule, the rise of de Valera as a politician, and the radicalisation of the Irish public after they learned about the mass executions of the 1916 leaders. Aside from this, seismic events like World War I and a sweeping sense of nationalism throughout the world helped to solidify Ireland's call for Independence as something that's symptomatic of a more worldwide trend. With the second episode set to air next week, it's clear that plenty of people will be tuning in again to watch The Irish Revolution when it airs next Monday at 21:30 on RTÉ One. If you missed the first episode, you can view it here. The Irish Revolution on RTE1 is superb. After watching #TheIrishRevolution, it’s difficult to comprehend why the teaching of history is too often undermined. Just watched #theirishrevolution on @rte 1+1 - masterful doc - it's great that our history and what so many of our ancestors sacrificed their lives for is finally getting d platform it deserves. This should be compulsory viewing in all schools - can"t wait for part 2! Part one of ‘The Irish Revolution’ documentary series on RTE One was just amazing!! What a thrilling and insightful opening to the re-telling of the story of #TheIrishRevolution Delighted to see this wonderful generation of historians at their finest, including my old long-time stablemate, the brilliant Dr John O'Callaghan. Well done to you all!